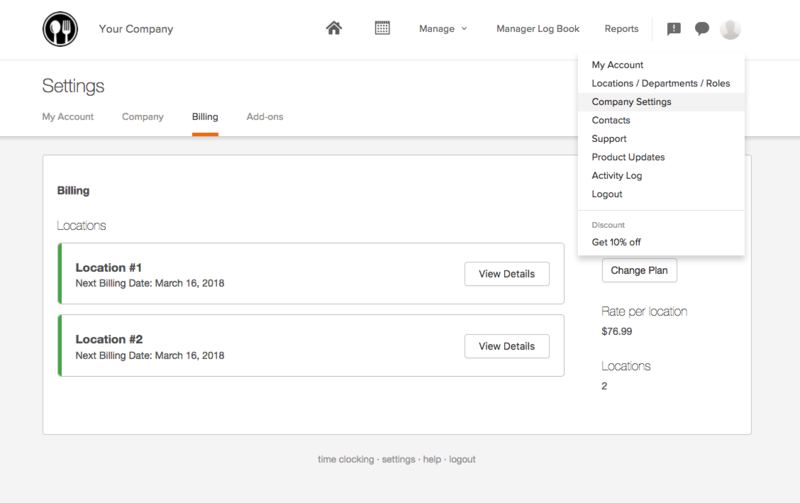 When you have more than 1 Location in your 7shifts account, you have two billing options to choose from to facilitate your payment needs. NOTE: Credit card updates can only be made by an Administrator from the web app. 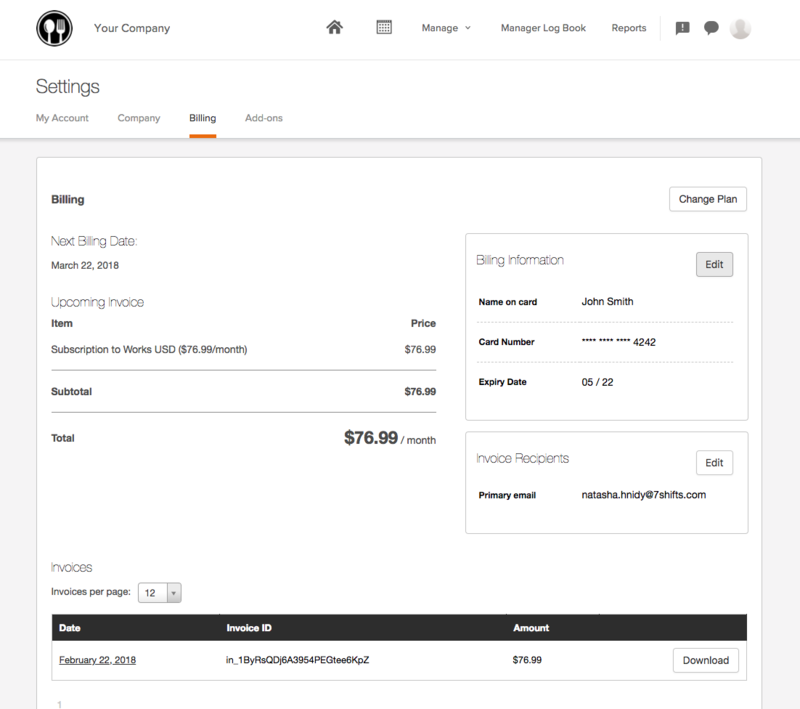 Navigate to the Billing page by hovering over the profile picture in the top right > Company Settings > Billing. 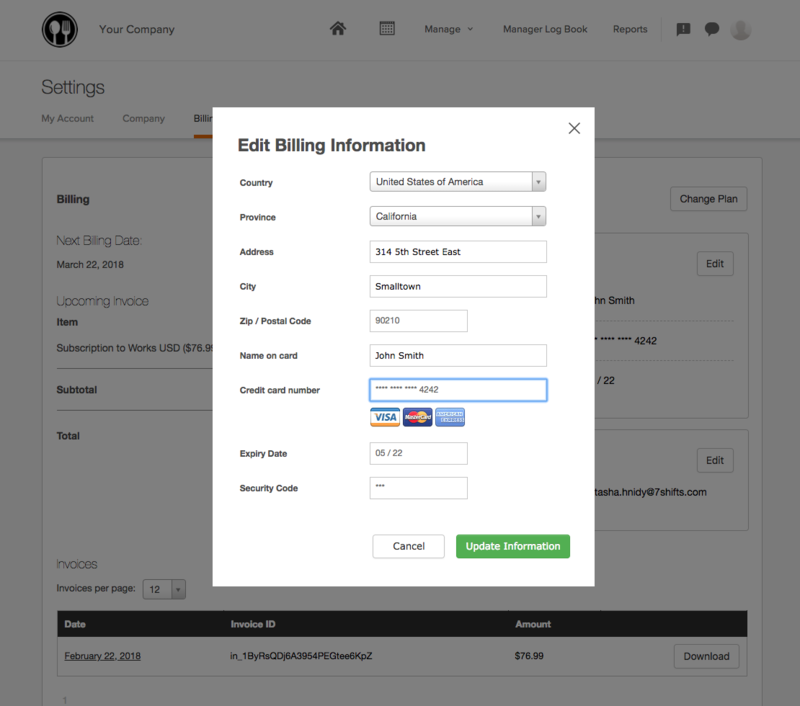 From there, select 'Edit' beside your Billing. 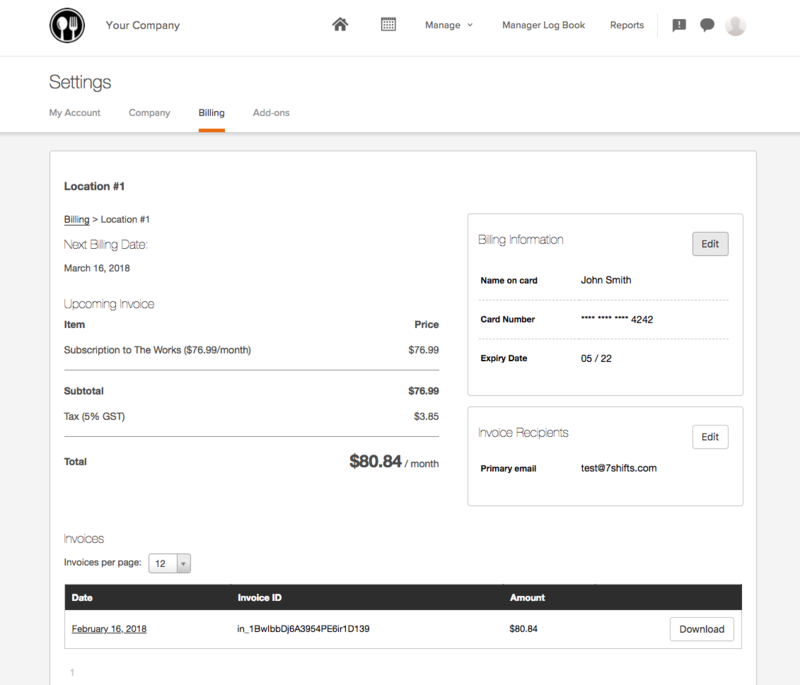 Enter the billing details your location. Click Save when finished. Your billing information is now updated, and the next payment will now be billed to this new card. 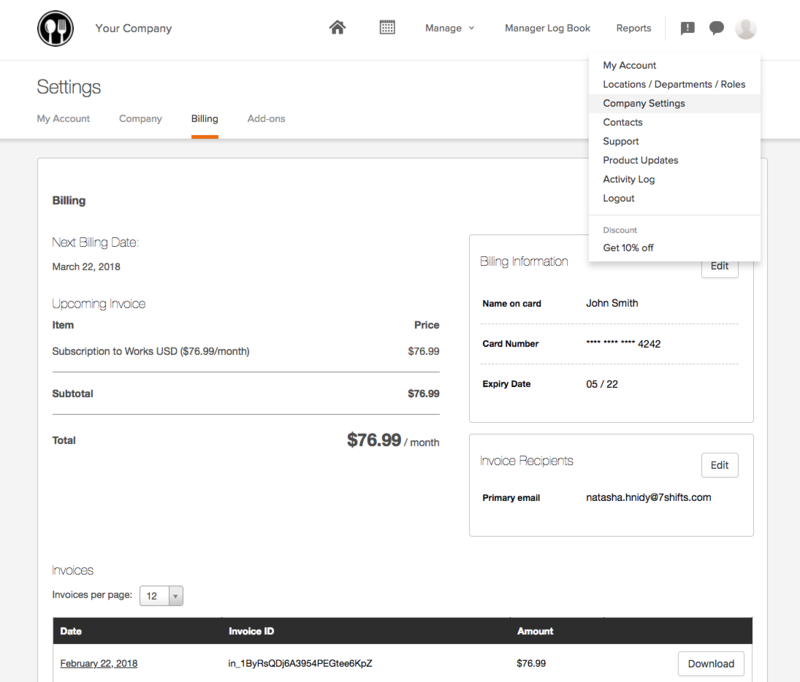 From there, select 'View Details' to the right of the Location of your choosing. 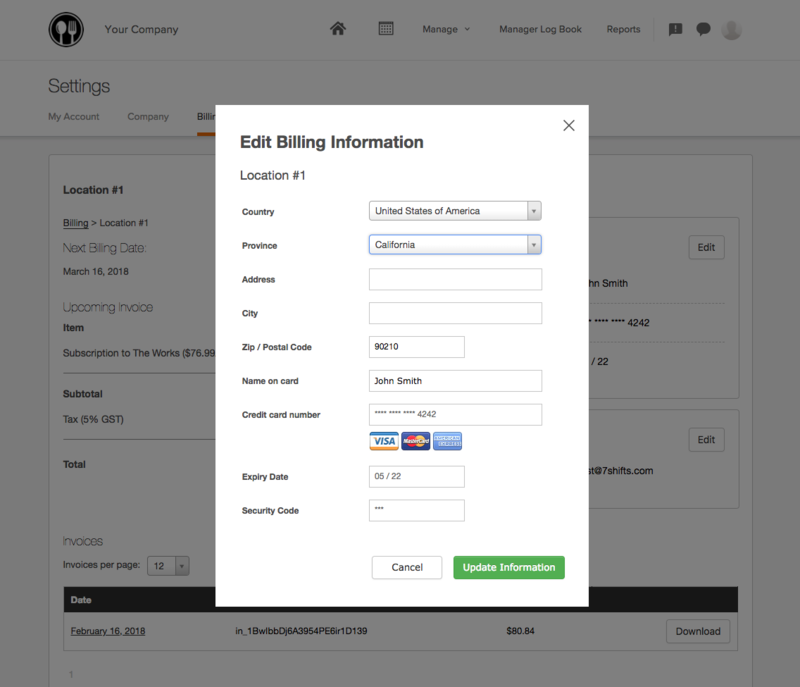 Click the Edit button to the right of your Location Billing Details. Note: Each time you add a new Location, you will be prompted to enter your credit card information.